Episode 25: In Jewish thought the ultimate expression of God’s power is the resurrection of the dead, and the ultimate resurrection was that of Jesus himself. In episode twenty-five viewers will discover that Jesus’ resurrection from the dead was a foreshadow of the final resurrection of the dead that was prophesied in the Hebrew Scriptures. Messiah rising from the dead was a promise, a guarantee that one day the great redemption will come, the great resurrection of the dead will take place, and the Messianic kingdom will arrive. One of the biggest mysteries of the Christian faith is the death and resurrection of Jesus. After all, there are no explicit prophesies in the Tanakh (Jewish Bible or Old Testament) that say the Messiah must personally die and then be resurrected three days later. In Christianity, we just take it for granted because it is a central if not the central tenet of our beliefs. But looking at the resurrection from a Jewish point of view, particularly a late Second Temple Era perspective, what did the resurrection of Messiah mean? And he began to teach that the son of man needs to suffer greatly, and the elders, the leading priests, and the scholars would reject him, and he would be killed, but at the end of three days he would surely rise. He spoke this word in the ears of all of them, and Petros took him and began to reprimand him. Jesus himself taught that he had to die and be resurrected three days later, but the fact that at hearing this Peter took Jesus aside and rebuked him, shows us that even Peter didn’t understand the meaning of Messiah’s death and resurrection. It must not have been an obvious belief common among Jewish people of that day (and it’s also not a belief in Judaism in our age). Peter certainly knew Jesus was the Messiah (see Matthew 16:16) so it wasn’t a matter of lack of faith or lack of knowledge. Even in the days of Jesus on earth, the death and resurrection of the Messiah was a great mystery. A mystery we are trying to solve from a Jewish perspective today in this episode. Toby points out that Jesus says his death and resurrection are prophesied in the Torah, the Prophets and the Psalms (Tehillim). But where? There’s nothing in these ancient writings that point-blank says the Messiah must die for the sins of humanity and be raised again three days later. What does Jesus explain to them that the Bible doesn’t explain to us? Won’t the Holy Spirit open our hearts to understand the scriptures? Here, Toby tells us that Peter is quoting Psalm 16:10 as proof that the Messiah would not die permanently and that God would resurrect him. This is only one of a few cryptic “proofs” in the New Testament that the Old Testament prophesies spoke, or at least hinted at, the Messiah’s resurrection. And He will remove the reproach of His people from all the earth; For the Lord has spoken. Toby quotes Isaiah as well as Ezekiel 37:3-6 to show that in the future Messianic Era, there will be a great resurrection of the dead, but this doesn’t specifically speak to the resurrection of the Messiah during his first advent. 1st Clue: The resurrection from the dead is a component of the Messianic Kingdom. Toby makes a key point by saying that Jesus felt these prophesies also explained his own resurrection. But how? Is Toby employing more than a little theological sleight of hand in making such a statement? This is part of Hannah’s prayer to God and shows us beautifully that life and death are from God and as He brings down into death, He also raises up back to life. Today’s Orthodox Jews believe in the resurrection of the dead once the Messiah comes, even as the Pharisees did in the day of Jesus. 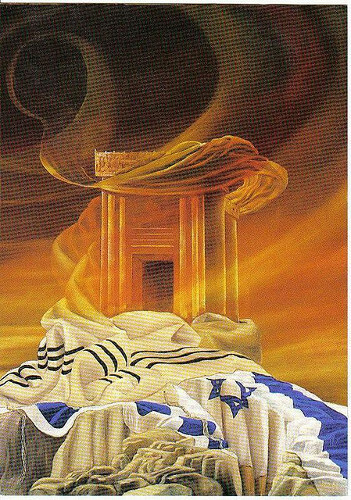 Many Jewish dead are buried at the Mount of Olives where it is prophesied the feet of the Messiah will first touch the earth. Three times a day, observant Jews pray for the resurrection, and the Mishnah states that if anyone does not believe the Torah speaks of the resurrection, that person forfeits their place in the world to come. Aaron points out that in Acts 23:6, when Paul has been arrested in Jerusalem and brought before the Sanhedrim, he throws the whole court, which is made up of Pharisees who believed in the resurrection and Sadducees who didn’t, into an uproar by claiming that he was on trial for his belief in the resurrection. Apparently, not all Jews two-thousand years ago believed in the resurrection of the dead, but it was obviously a “hot button” topic. The last of the Thirteen Principles of Jewish Faith established by the Rambam, the great sage Moses Maimonides in the twelfth century is a declaration of faith in the future resurrection of the dead. Clue 2: The future resurrection of the dead is a principle of Jewish faith. But while all this certainly establishes that religious Jews, like Christians, believe in a future resurrection, what does it have to do with the resurrection of Jesus? According to Toby, it goes back to the debate between the Pharisees and Sadducees about whether or not there would be a future resurrection. By God resurrecting Jesus three days after he died, it was supposed to settle the argument. Jesus, the Messiah, by being resurrected, establishes a future resurrection. Now if Christ is preached, that He has been raised from the dead, how do some among you say that there is no resurrection of the dead? But now Christ has been raised from the dead, the first fruits of those who are asleep. For since by a man came death, by a man also came the resurrection of the dead. In verse 12, Paul directly links the resurrection of Jesus with the future resurrection of all the dead, stating that if you don’t believe in the former, you are also denying the latter. Then in verses 20 and 21, Paul says that the resurrection of Jesus was a “first fruits of those who are asleep” (dead). The Torah commands that all Israelite farmers are required to offer the first ripe fruit of their harvest to God. This presupposes that the larger harvest of the crops is not yet ripe. The metaphor illustrates that the resurrection of the Messiah was a first fruits or a foretaste of the resurrection and when the rest of the harvest of humanity is “ripe,” the great resurrection of the dead will come. This happens in the Messianic Era. Clue 3: Jesus’ resurrection is the first fruits of the final resurrection. In other words, by the Messiah dying and then being resurrected, he was proving that all of the older prophesies about a great resurrection of the dead in the Messianic Age were valid, accurate, and will indeed occur. The major point I learned was how the purpose of the resurrection of Messiah was framed by Toby and Aaron. Basically, it was a theological and probably a legal proof to all of the Jewish people of that day that indeed there would be a great resurrection in the future age. Today’s Orthodox Jews believe in that resurrection, but I’m not sure that all religious Jews everywhere do. All Christians believe not only in the resurrection of Jesus, but in the resurrection of all the dead, who will then be judged. I don’t struggle with these concepts, but the great struggle today for non-believing Jews, just as it probably was among many of the Jewish people in the day of the apostles, was whether or not the Messiah had to die and then rise. While the focus of this episode was on the resurrection, to get a Jewish person to this point, you first have to get them past the death of Jesus, which wasn’t touched upon in this show. I’ve tried to write to this issue using Jewish and Christian sources in blog posts such as The Death of the Tzaddik and The Sacrifice at Golgotha. Jews, like Christians (and just about everyone else), find the idea of making a human sacrifice to God abhorrent, and from a traditional Jewish perspective, the death of Jesus to pay for our sins looks like a human sacrifice. Christians don’t consider this an issue in our faith, but from an outsider’s point of view, it’s a huge stumbling block. There are some aspects of Jewish faith that support the idea of the death of a great tzaddik or righteous one atoning for the sins of others, up to and including the sins of an entire generation of Jews. When we people of Yeshua faith attempt to cite those sources, we are sometimes accused of misreading the ancient Jewish sages for our own ends. I can see how some Jewish people would get that impression but this also illustrates that it is Jewish to believe a human death can atone for others, therefore, it’s not completely outrageous to believe that the Messiah’s death, the death of the greatest of all tzaddikim, could atone, not just for the sins of a single generation, but for the sins of all generations across time. But I’m going off topic. 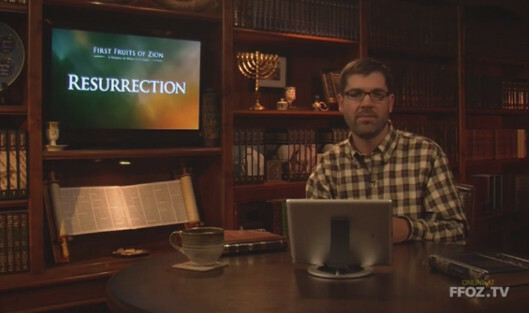 Toby and Aaron were focusing on the resurrection, not the death of Messiah, and they’re addressing primarily an audience of traditional Christians, not traditional Jews. To that end, it’s almost as if Toby and Aaron were “preaching to the choir,” since the resurrection of Jesus and the future resurrection of all the dead are a “given” in the Christian faith. However, they did establish that the resurrection is not an uniquely Christian concept, but is founded strongly in Judaism and the Old Testament. They also showed, as I said above, that the resurrection proved to the Jewish people in the apostolic era, that the prophesies of a great, future resurrection would be fulfilled. 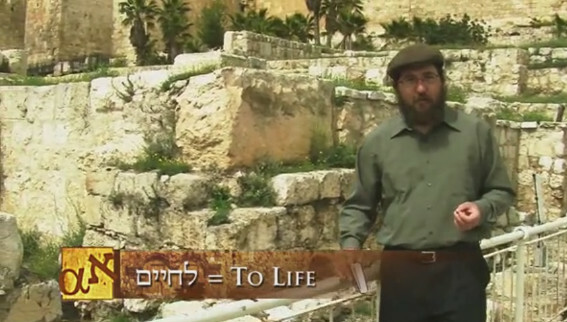 At the end of the episode, as usual, Boaz Michael, FFOZ’s President and Founder, came to announce the next and last show of this television series, which teaches the literal, physical restoration of Israel that is yet to come. This will be my last opportunity to review this television series and I will certainly miss it. I’m not unmindful that this blog post is being published on Christmas Day. For all of my readers who celebrate Christmas, I give you warm greetings and may the Spirit of Messiah be with you on this day, inspiring love and generosity. May the light of Messiah continue to illuminate our paths and to open our eyes to who he is and who we are in him. 1. What ever happened to Lazarus? He briefly appears later in the Scriptures. Having come back from the dead, why his life after death experience was not recorded, or was it in another ancient texts? Did he died again later on? 2. 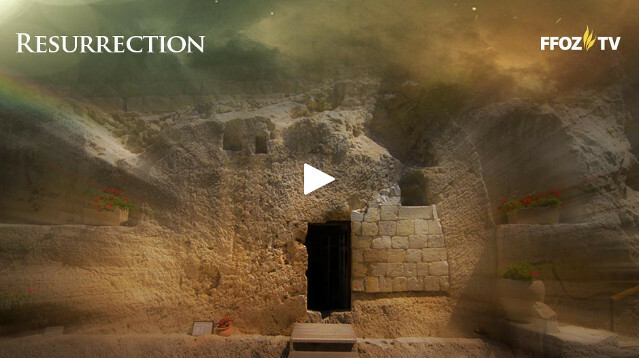 What is the difference between Lazarus resurrection and Jesus resurrection? 1 Co 15:20 says that “Christ is the firstfruits of them that slept”. But according to this passage, Lazarus resurrected before Christ. I, for one, don’t know how to answer any of those questions. If Jesus’ resurrection is the first fruits of the resurrection to come, then he was resurrected and remains alive forever. I can only assume that Lazarus died subsequent to his resurrection we see in the Bible and that he will rise again on the final day, but that’s just an assumption. I have no idea what happened to the tzaddikim who rose when the Master was crucified. Hopefully someone smarter and wiser than I will come along to address your query, Alfredo. Thanks James. My question was not addressed to you exclusively but to any of our friends who comment regularly in your blog. I have some ideas about answers to these 3 questions, but I would really like to hear from others. I know that no answer will be 100% accurately, but I’m just looking for possible alternatives. I posted a link to this blog post on Facebook and Google+ citing your questions, Alfredo. Hopefully, it will drive some traffic to today’s blog post and a few answers…or it may reveal that this is a profound mystery that we will not understand this side of the Master’s return.